Missing Person: Danyelle Minerva, 19 yr. old, possibly seen in Atlantic City last week. The New Jersey State Police and the Waterford Police Department are seeking your help in locating Danyelle Minerva. 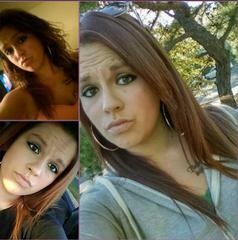 Danyelle Minerva, 19 yr. old, White Female, 5'3", 150 lbs., has brown eyes, and straight long brown hair. Last seen: In Bridgeton at the Riggins Gas Station, on Thursday, Oct. 15. Danyelle's last contact with her family was on Oct. 14. There are also unconfirmed sightings of Minerva in Atlantic City last week.